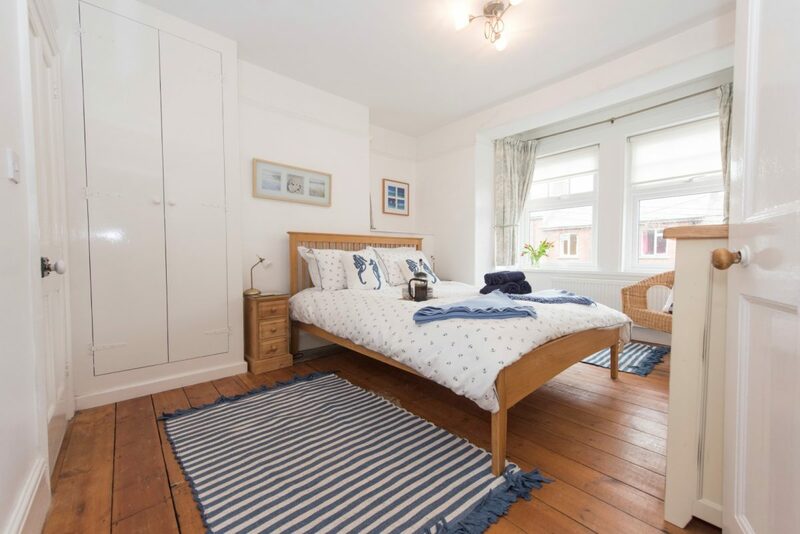 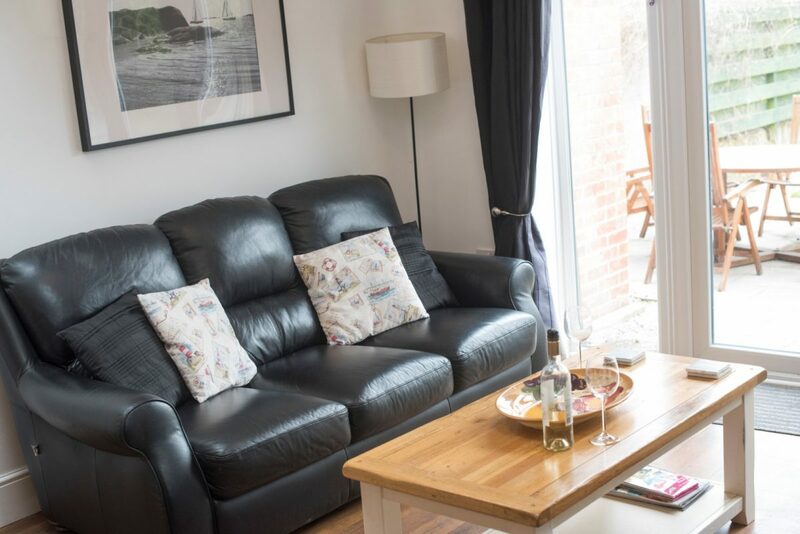 Grand red brick warm in the sun, towering windows to let the light pour in, tasteful, modern décor and enough room for everyone – then space besides, 7 Glynn Road makes holiday with family or friends a cinch. 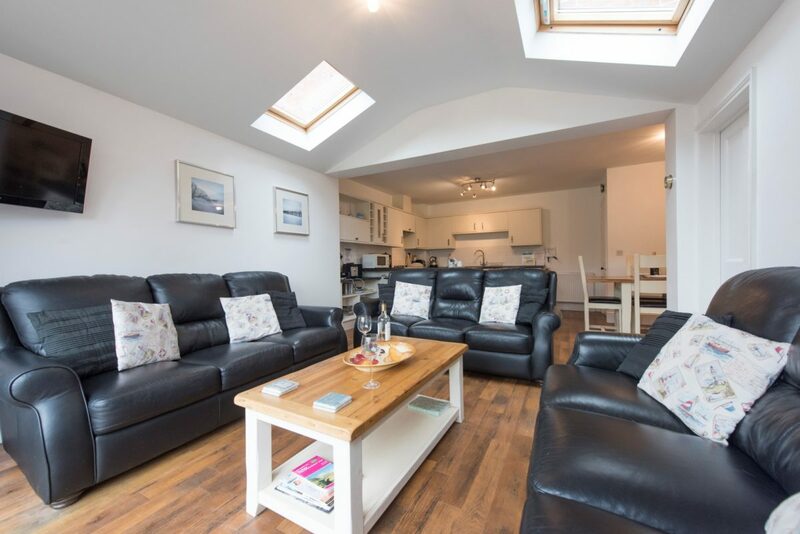 Whether you’re tucked away in the snug, warming wet toes on the open fire, waking up to distant estuary views in the master bedroom, or seeking some shade under the parasol on the patio, this holiday home is all set to help you make more of every holiday moment. 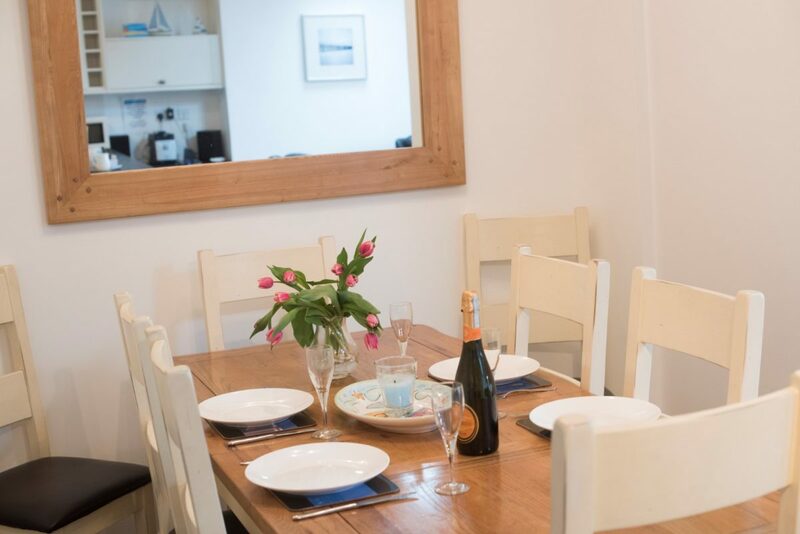 Three bedrooms, three bathrooms, ample parking space and light-flooded spots the house over, is 7 Glynn Road the holiday home for you? 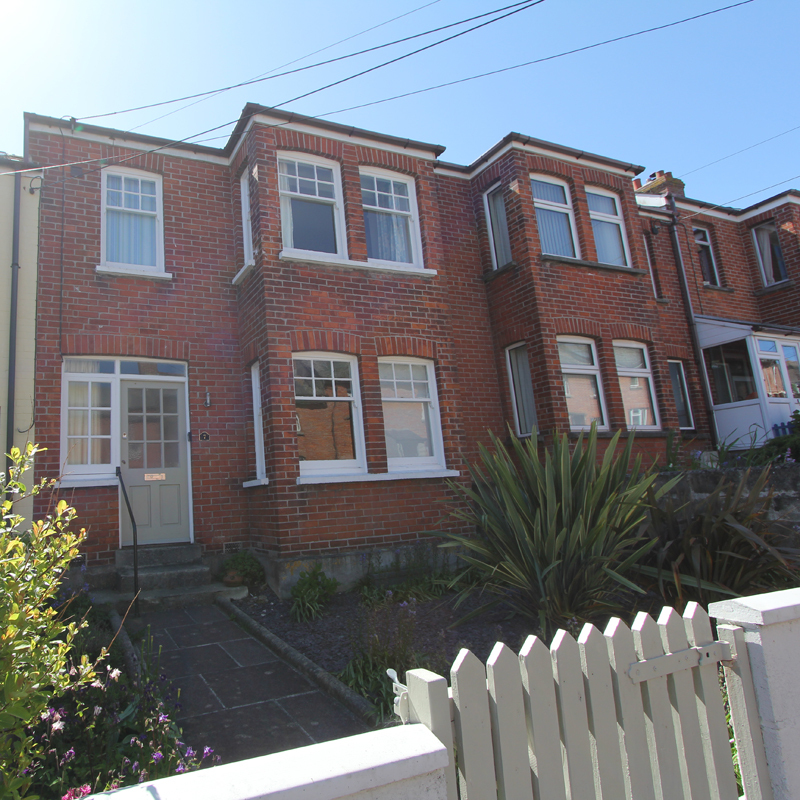 From Glynn Road there is 1 tiny step up through the gate into the front garden with a further 3 steps up inside the front door. 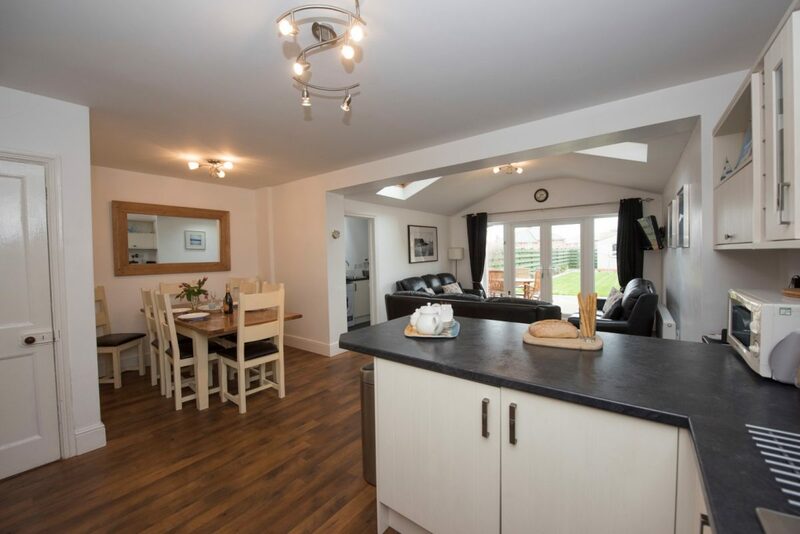 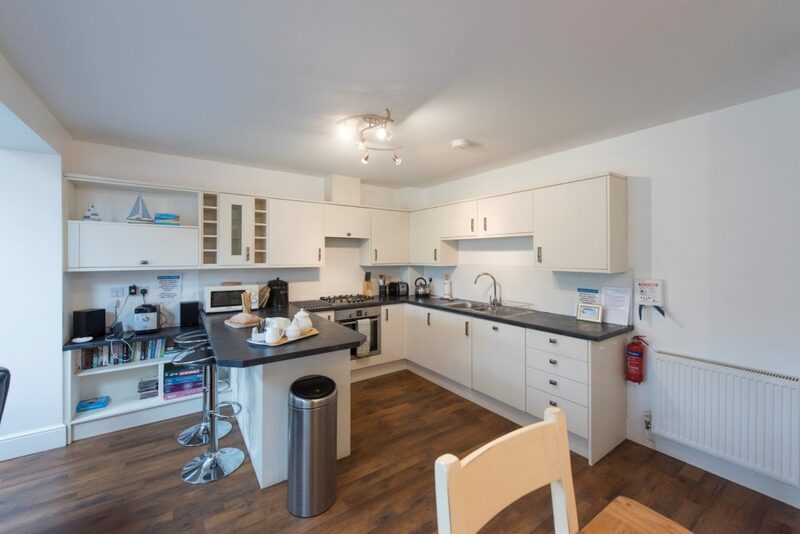 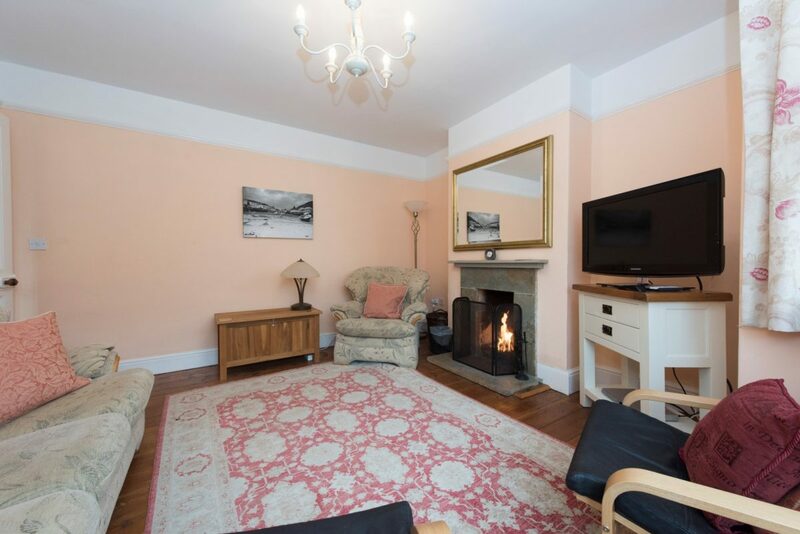 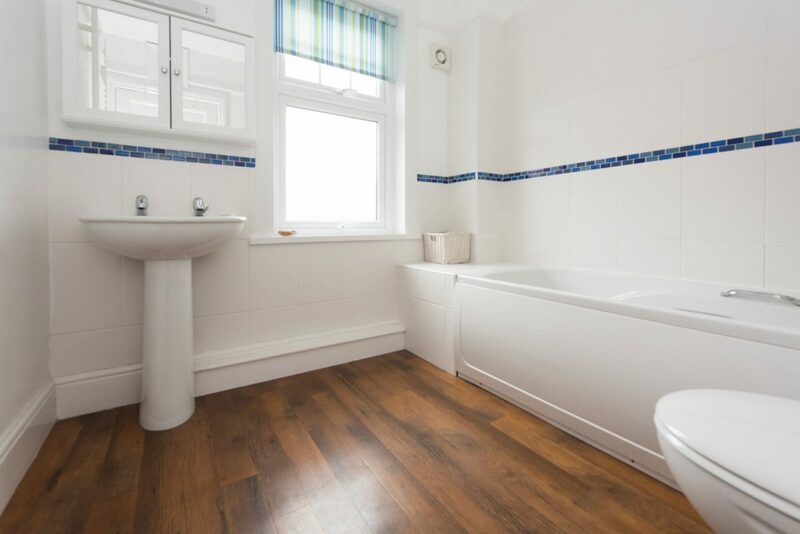 On the ground floor is the hallway, lounge/snug room, open plan kitchen/dining room/lounge, utility room and shower room with WC, basin & heated towel rail. 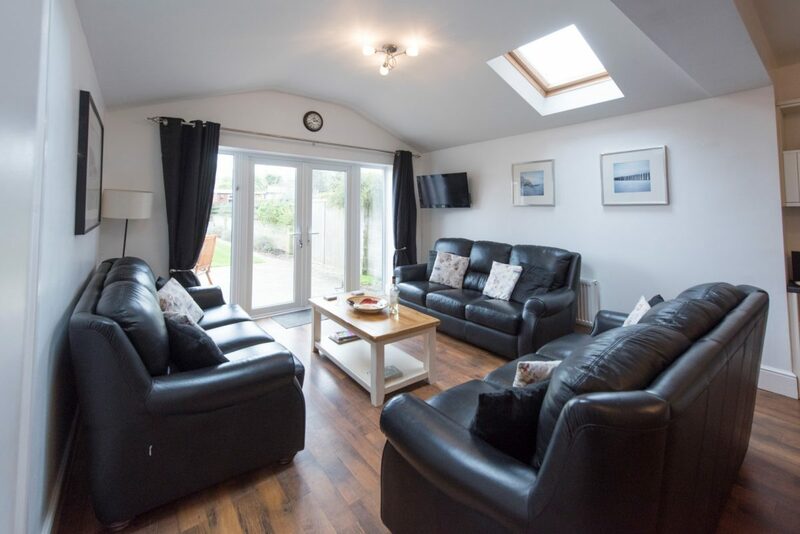 From the lounge area there are patio doors leading out down 1 step to the rear garden. 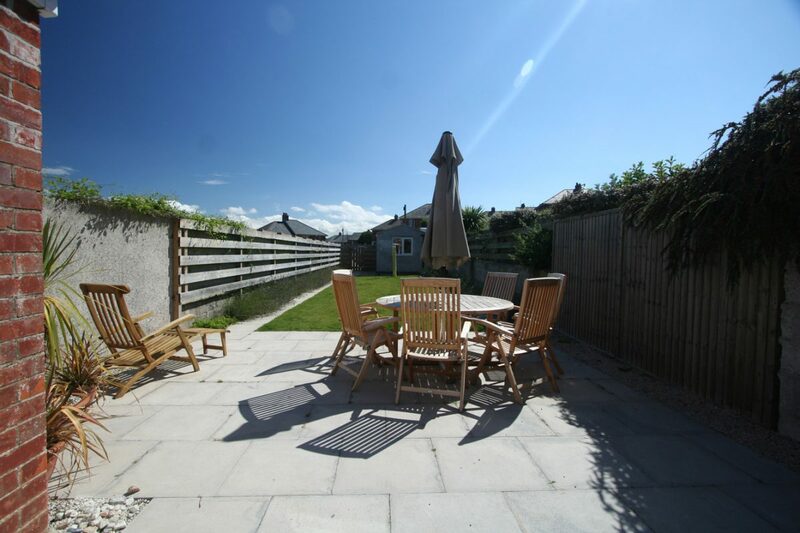 The garden is flat with a patio & lawn and there is a storage shed at the back plus a gate which leads to the parking area. 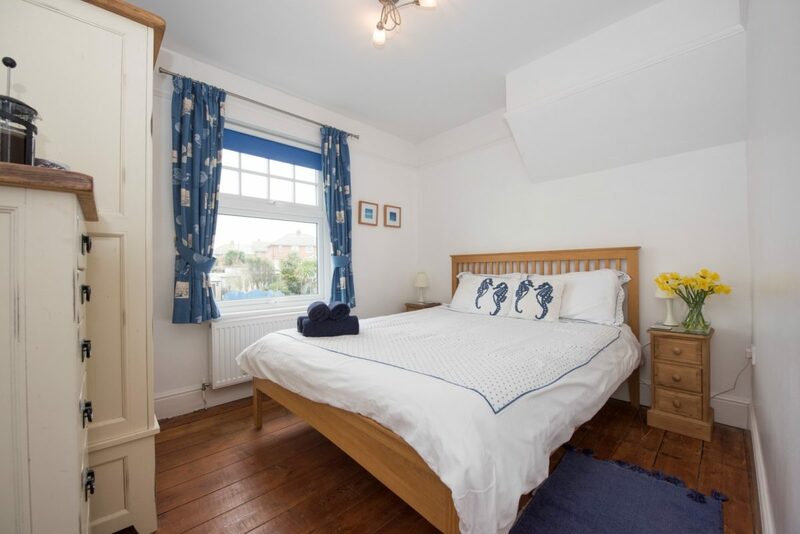 Back inside there are 14 steps upstairs to a bathroom with bath/shower above, WC, heated towel rail & basin, the master double bedroom with ensuite shower, WC & basin, 1 twin bedroom and a bunk bedroom. 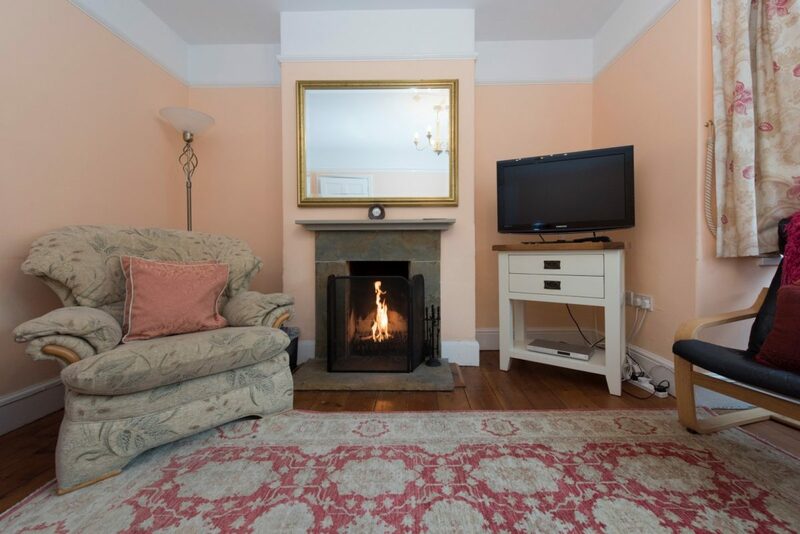 Snug room with open fire, TV and DVD player, open plan kitchen/diner/living room with an electric oven with gas hob and standard size fridge and a TV in the living area, there are also patio doors out to garden, utility room with standard sized freezer and a shower room with WC, washbasin and heated towel rail. 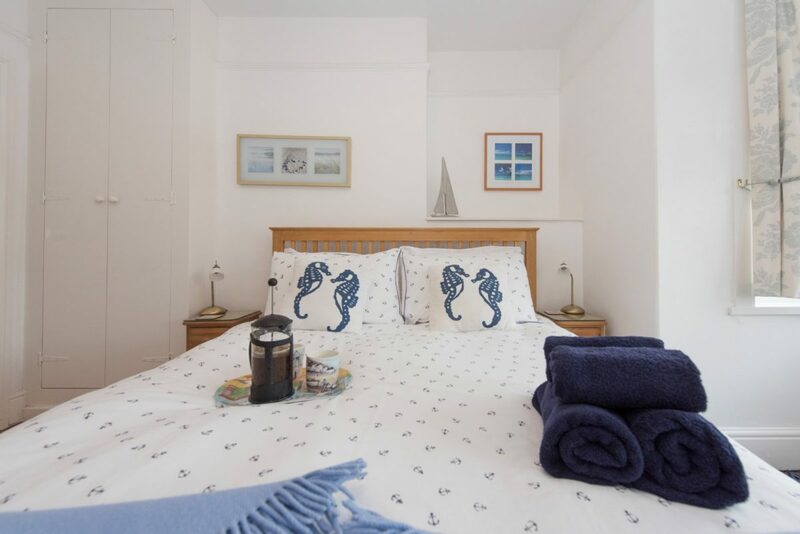 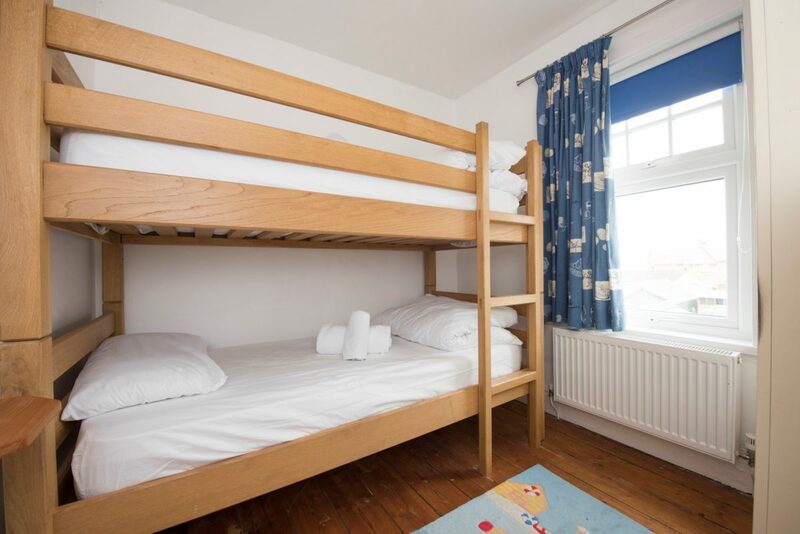 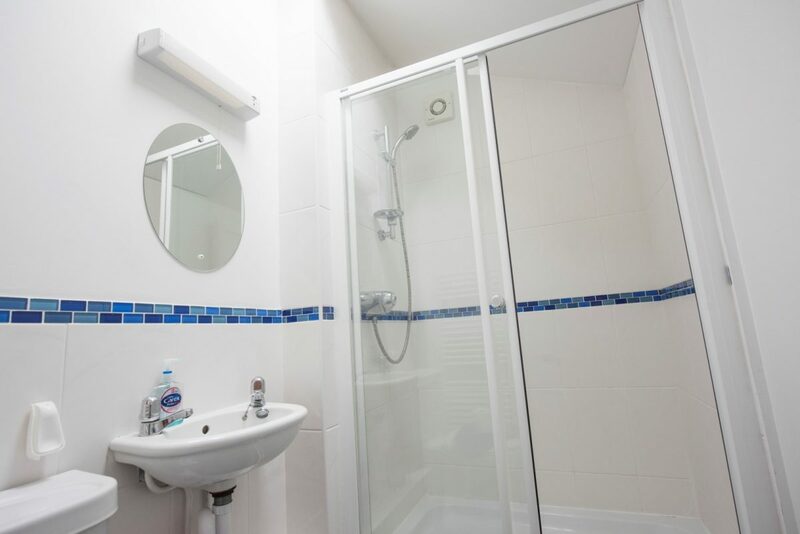 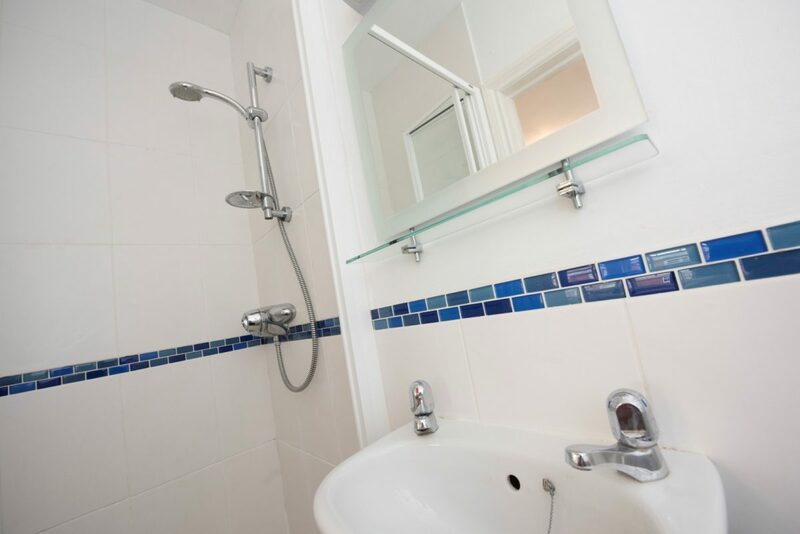 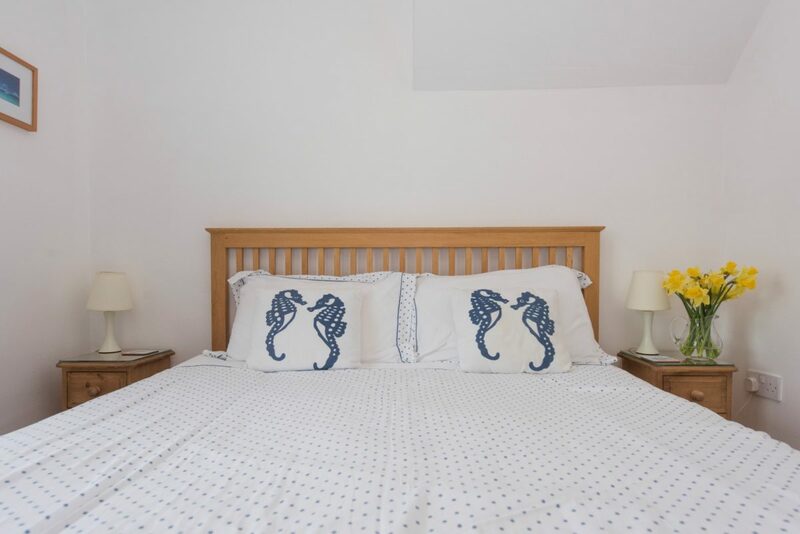 1 bunk bedroom, 2 kingsize bedrooms, 1 with en-suite shower room, WC and washbasin and a family bathroom with bath with shower above, WC, washbasin and heated towel rail. 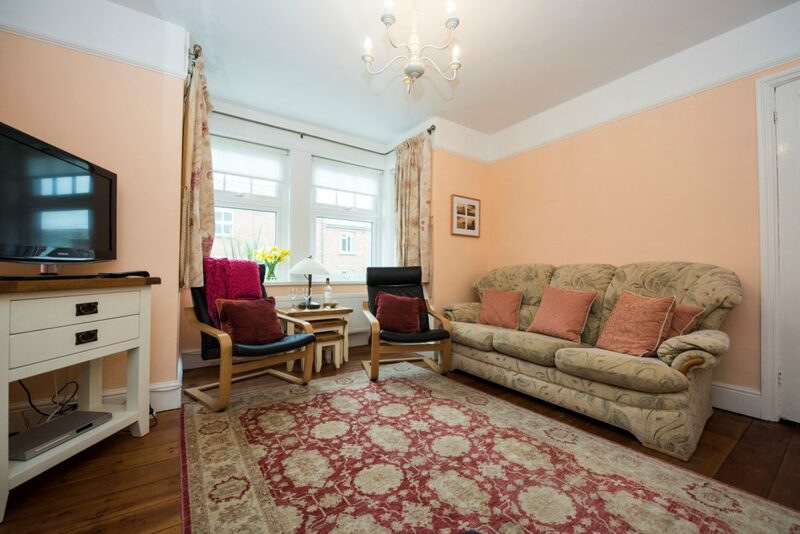 Garden, storage room and ample parking. 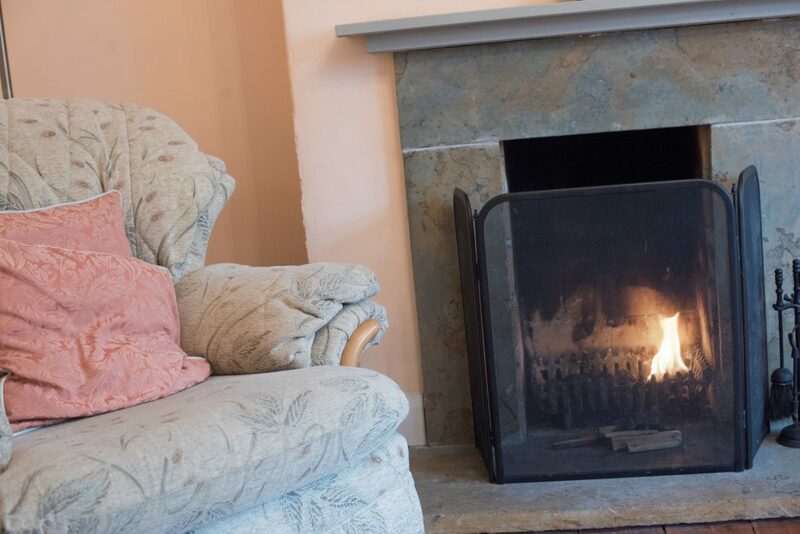 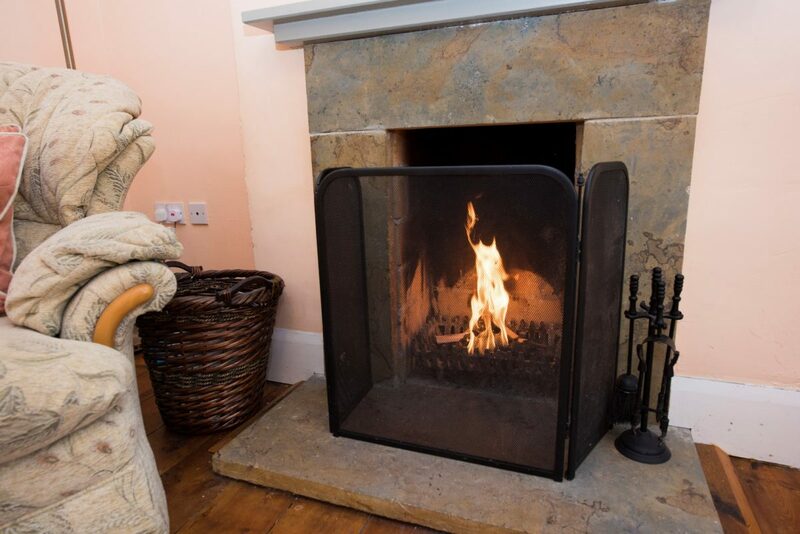 From bare feet padding across genuine slate tiles, to stocking up the woodburner with crackling logs, at Honey Cottage, it’s the authentic touches that make a lasting impression.